Former New Democratic Party leader Brian Mason took centre stage today to launch his party’s new attack campaign directed at United Conservative Party leader Jason Kenney’s more controversial views on social issues like LGBTQ rights, Gay-Straight Alliances and abortion, how his plans to balance the budget could impact funding to health care and education, and the substantial political baggage he carries after serving 19 years in Ottawa. 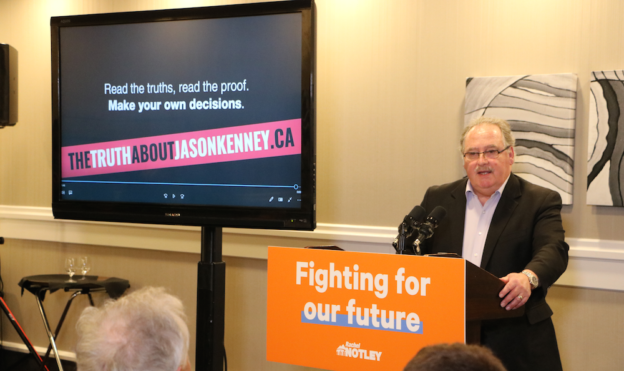 The campaign features a video of Albertans reacting to some of Kenney’s more outlandish statements and views on social issues. That the NDP is focused on the Kenney is no surprise. The UCP behemoth has a significant lead over the NDP in the polls, in fundraising, and party membership, but Kenney’s popularity is much lower that his party’s and his past as a social conservative activist against issues like women’s reproductive rights and gay rights, are issues that will mobilize the NDP’s base of support. The anti-abortion group the Wilberforce Project recently bragged on their website about the influence it had exerted on the UCP candidate nomination process. It is unclear how much influence the social conservative group has actually exerted but it brought the divisive issue back to the forefront last week. As party leader, Mason was a warhorse of opposition politics in Alberta, so it is not surprising that the NDP decided to employ the retiring MLA for Edmonton-Highlands-Norwood to launch this part of the campaign. This also allows the party to distance the negative side of its campaign from its leader, Rachel Notley, and its incumbent MLA who are running for re-election. Ask any Alberta voter on the street if the like negative advertising in elections and the response will be unanimously negative. But that political parties of all persuasions consistently use them speaks to their effectiveness. Also, we kind of expect parties to act this way now. The negative focus on Kenney and his unpopular views on social issues is a central part of the NDP’s campaign, but it is overshadowing the positive message the NDP is trying to promote – that Notley and her party are the best choice for Alberta families. The party’s strongest asset, Notley has been touring the province making a flurry of pre-election announcements over the past month, including promises to upgrade the Red Deer Regional Hospital , build a new interchange in Leduc, expand the Telus World of Science in Edmonton, and invest in Calgary’s tech sector. But the positive side of Notley’s campaign feels almost like a side-show to her party’s constant attacks against Kenney. Whether a strong focus on Kenney’s more controversial views will be enough to turn around the NDP’s electoral fortunes – and ‘enough’ could be a relative term at this point – remains unclear. UCP leader Jason Kenney announced his party would introduce reforms to Alberta’s elections laws, including MLA recall, free votes, a fixed-election day, and banning floor crossing in the Legislature, mirroring many of the promises made in the Wildrose Party‘s 2015 election platform. 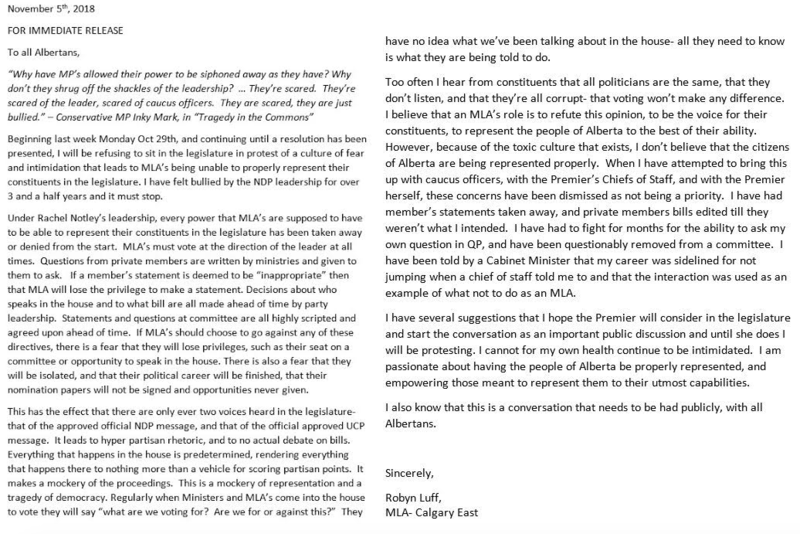 MLA recall is a perennial issue that opposition MLAs, most recently Wildrose MLAs, have frequently called for over the past 25 years. At least 7 attempts have been made by opposition MLAs to introduce MLA recall legislation through private members’ bills since 1993, all of which have failed. 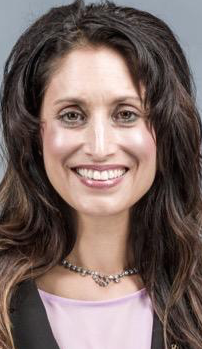 UCP MLA Leela Aheer, then a member of the Wildrose Caucus, introduced a private members’ bill in December 2015 calling for an MLA recall process that would have allowed 20 percent of voters overturn the results of a free and fair democratic election. The bill died on the order paper. When Alberta briefly had MLA recall laws, from 1936 to 1937, signatures were required from 66.6 percent of voters to trigger a by-election. 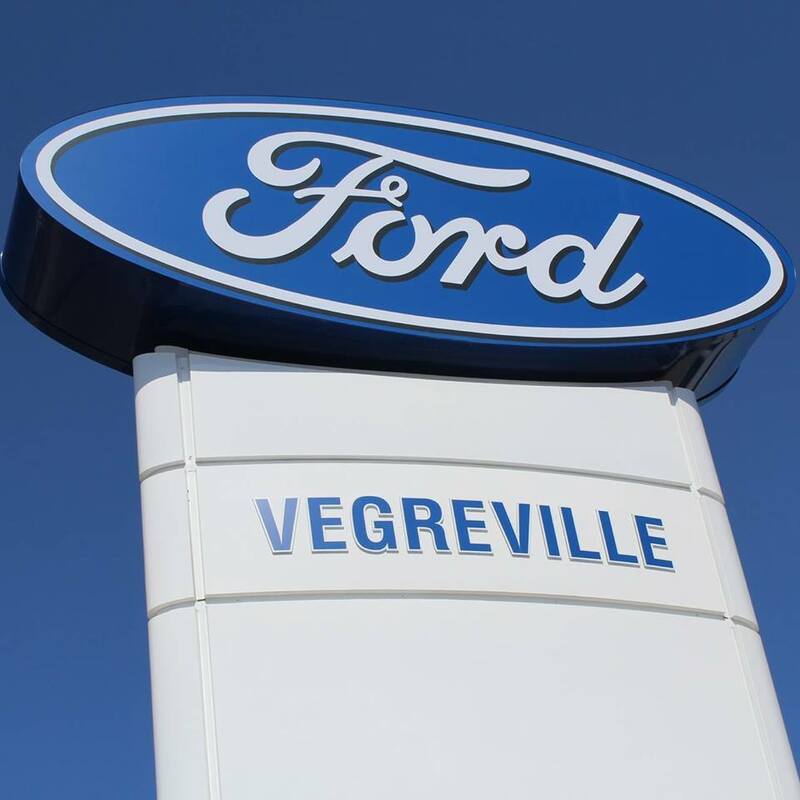 The law was repealed by the Social Credit government after a group of disgruntled Albertans was thought to have collected enough signatures to recall Premier William Aberhart in his Okotoks-High River district. Banning floor-crossing by requiring that MLAs resign and seek a by-election before they can change parties was a promise made by the Brian Jean-led Wildrose Party in the 2015 election. This promise plays to the resentment many conservatives felt when Danielle Smith and 11 of the party’s MLAs crosses the floor to Jim Prentice’s Progressive Conservatives in 2014, and, more recently, when Sandra Jansen crossed the floor to the NDP. Kenney also pledged make it illegal for governments to advertise in the run up to an election, similar to a private members’ bill introduced by then-Wildrose MLA Rick Strankman in 2015. The UCP would also reinstate the Alberta Senatorial Selection Act, with a pledge to hold Senate Nominee elections in 2021, and ban groups affiliated with a political party to register as third party election advertisers, a direct shot at the Alberta Federation of Labour, which is running its Next Alberta campaign. This entry was posted in Alberta Politics and tagged Alberta Election 2019, Alberta Federation of Labour, Alberta NDP, Alberta PC Party, Alberta Recall Election, An Act to repeal The Legislative Assembly (Recall) Act, Attack Ads, Bill 203: Election (Restrictions on Government Advertising) Amendment Act, Brian Jean, Brian Mason, Danielle Smith, Edmonton-Highlands-Norwood, Gay-Straight Alliances, Jason Kenney, Jim Prentice, Leela Aheer, Next Alberta, Rachel Notley, Recall, Rick Strankman, The Truth About Jason Kenney, United Conservative Party, Wildrose Party, William Aberhart on February 15, 2019 by Dave Cournoyer. For the past ten years, Edmonton-Strathcona has been an orange island in a sea of blue. 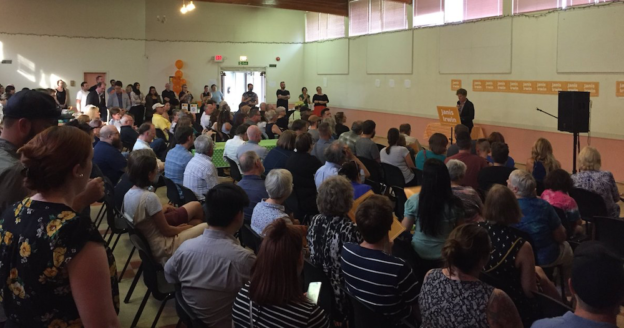 Now with three-term Member of Parliament Linda Duncan choosing to retire when the next federal election is called, members of the New Democratic Party in Edmonton-Strathcona will be gathering on November 26, 2018 to select a new candidate to carry their party’s banner in the only district held by the federal NDP in Alberta. Two candidates have stepped forward to seek the party’s nomination. 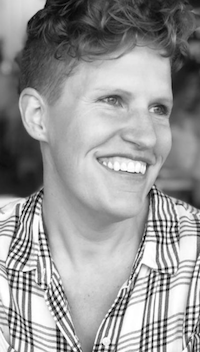 Heather McPherson has progressive credentials as the executive director of the Alberta Council for Global Cooperation and volunteer team leader with Médecins Sans Frontières. She is the former president of the local NDP association and has the endorsement of big names in the NDP establishment, including Duncan and former MLA and provincial party leader Raj Pannu. Paige Gorsak, a 26-year old community organizer, University of Alberta graduate student and library assistant with Edmonton’s Public Library, is McPherson’s only challenger. Gorsak is running a unabashedly democratic socialist campaign that focuses on social justice issues that push beyond the centre-leftish territory many NDP politicians have staked out in recent years. Gorsak’s campaign has the feel of the movement personified by Alexandra Ocasio-Cortez, the most high-profile member of a wave of Democratic Socialists running in the American mid-term elections earlier this month. Gorsak has been featured in a series of powerful videos on social media and is advocating for change on a wide-range of issues including transition to a 100% renewable energy economy, the elimination of post-secondary tuition and student debt, the creation of free universal childcare and a universal single-payer pharmacare program, and full Indigenous sovereignty and self-determination for First Nations, including a guarantee of treaty rights to education, the full implementation of UNDRIP and the full implementation of Truth and Reconciliation Calls to Action. The list goes on. Despite the federal district overlapping an area represented by five NDP MLAs, including Premier Rachel Notley, Transportation Minister Brian Mason, Advanced Education Minister Marlin Schmidt, and Housing Minister Lori Sigurdson, Duncan’s provincial counterparts have been publicly quiet about the selection of her successor. But their silence should not be taken as an indication they do not have strong feelings about who should win. 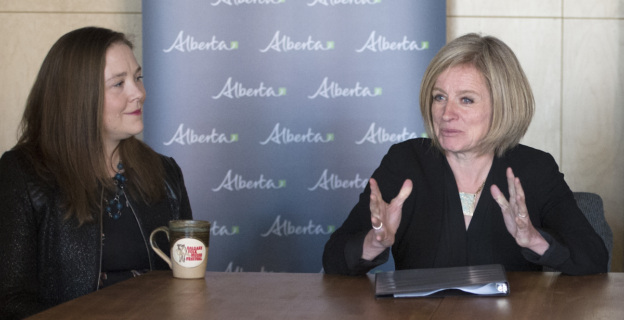 The tension between the federal and provincial NDP in Alberta, especially over the issue of oil development and pipeline construction, has been palpable. Federal NDP leader Jagmeet Singh has taken a position against the expansion of the federal government-owned Trans Mountain Pipeline, a project Notley had spent an incredible amount of political capital trying to get done. Gorsak’s call for a transition away from non-renewable energy economy has also made her a target of United Conservative Party leader Jason Kenney on social media. But her campaign has responded to Kenney’s attacks with ease and humour, demonstrating that when it comes to issues like climate change, she is not afraid to stake ground outside the provincial NDP’s comfort zone. Holding on to Edmonton-Strathcona in 2019 will be a tough battle for the NDP, but if the 2015 federal election is any indication, the federal NDP will not find success by tacking to the political centre and mirroring the path traditionally taken by the Liberal Party. The federal NDP should push the limits and provide an exciting and compelling argument for progressive social change. If there is anywhere in Alberta where that kind of message will resonate, it will be in Edmonton-Strathcona. And Paige Gorsak looks like she could be up to that challenge. The other parties are also in the process of nominating their candidates in this district. Julia Bareman and Sam Lilly are seeking the Conservative Party nomination and Eleanor Olszewski is seeking the Liberal Party nomination. Olszewski earned 20.7 percent of the vote as the Liberal Party candidate in the 2015 federal election. This entry was posted in Alberta Politics and tagged Alberta Council for Global Cooperation, Alberta Federal Candidate Nomination Update, Alberta NDP, Alexandra Ocasio-Cortez, Brian Mason, Canada Election 2019, Edmonton-Strathcona, Eleanor Olszewski, Federal NDP, Heather McPherson, Jagmeet Singh, Jason Kenney, Julia Bareman, Linda Duncan, Lori Sigurdson, Marlin Schmidt, Médecins Sans Frontières, Paige Gorsak, Rachel Notley, Raj Pannu, Sam Lilly on November 23, 2018 by Dave Cournoyer. Writing that she “felt bullied by the NDP leadership for over 3 and a half years” and faced “a culture of fear and intimidation,” Luff’s letter details the grievances she feels as a backbencher in the government caucus, which include whipped votes and reading scripted questions and private members statements in the Assembly. Luff wrote in the letter that she would not return to the Assembly “until a resolution has been presented.” It is now likely that when she does return it will be as an Independent MLA. Luff is correct that many of the prepared statements and questions that backbenchers are frequently required to read in the Assembly are scripted, and sometimes comically so. Many provinces do not provide time for government backbench MLAs to ask questions in Question Period, and anyone who has watched an episode of QP will likely see why. Known colloquially as “puffballs,” the scripted questions asked by backbench MLAs are rarely challenging and exist to provide cabinet ministers with an opportunity to read government talking points into Hansard. Despite her family roots in the Alberta NDP (her grandfather Alan Bush was an Anglican minister who stood in the federal NDP in northern Alberta in the 1965 and 1967 federal elections and ran against Grant Notley for the leadership of the NDP in 1968) a breach of caucus solidarity this large was not going be treated lightly. There is no doubt Premier Rachel Notley runs a tight ship and because of it the NDP have imposed an impressive level of caucus discipline since forming government in 2015. Since their election victory, the NDP have largely avoided the types of bozo-eruptions and embarrassing scandals that have sometimes become weekly occurrences in the Wildrose-turned-United Conservative Party Caucus. Caucus discipline is nothing new. It is a characteristic of most functional parliamentary democracies. But the level of control exerted on individual MLAs by party leaders and their staffers is something that could feel incredibly stifling for some backbench MLAs, especially those who might feel more naturally inclined to sit in the opposition benches. Backbenchers who do not feel they are being valued or given an opportunity to speak up and advocate for the issues they or their constituents feel are important can create resentment towards the political leadership. Providing some sort of relief valve to deal with backbencher frustration is important. In the mid-1990s, rookie backbench Progressive Conservative MLAs Jon Havelock, Mark Hlady, Lyle Oberg, Murray Smith, Ed Stelmach, and Lorne Taylor formed “the Deep Six” by attempting to drive an agenda of cuts to spending and government services, or at least that is the political narrative that was created. The short-lived sequel to the Deep Six, the Fiscal Four, was formed by Doug Griffiths, Jonathan Denis, Rob Anderson, and Kyle Fawcett after the 2008 election. The group of PC backbenchers soon expanded to include three or four other MLAs, but it did not last long after Anderson crossed the floor to the Wildrose Party in 2010 (and the “Fiscal Seven” did not have the same ring to it). Aside from being allowed to play minor theatrical roles as the internal opposition to government, most backbench MLAs were largely compliant during the PC Party’s 43-year reign. The caucus and party revolt that ended Alison Redford’s political career in 2014 was a notable exception, but the most significant actual rebellion by backbench MLAs in Alberta’s history was the Social Credit backbenchers revolt of 1937, which nearly toppled Premier William Aberhart’s nascent government. It is not uncommon for disgruntled MLAs to leave their caucus to sit as Independent MLAs or join other parties, like Sandra Jansen did in 2016 and Rick Fraser and Karen McPherson did in 2017, but Luff’s decision to refuse to take her seat in the Assembly is not a tenable long-term strategy. Without knowing more, it is not clear that anything Luff wrote she has experienced is new or unique to the NDP Caucus in Alberta, or if she is alone in feeling this way. It is also unclear what Luff’s political future outside the NDP Caucus will hold over the next five months until the 2019 election is called. Whether publishing that letter was politically smart or political suicide, it took courage for Luff to speak up. And speaking truth to power is something that we should encourage our elected officials to do more regularly. This entry was posted in Alberta Politics and tagged Alan Bush, Alberta NDP, Alison Redford, Brian Mason, Calgary-East, Caucus Discipline, Doug Griffiths, Ed Stelmach, Grant Notley, Jon Havelock, Jonathan Denis, Karen McPherson, Kyle Fawcett, Lorne Taylor, Lyle Oberg, Mark Hlady, Murray Smith, Rachel Notley, Rick Fraser, Rob Anderson, Robyn Luff, Sandra Jansen, The Deep Six, The Fiscal Four, United Conservative Party, William Aberhart on November 6, 2018 by Dave Cournoyer. Jamil Jivani joined Dave and Ryan on the podcast this week as we discussed his new book, Why Young Men: Rage, Race and the Crisis of Identity, and delved into how Political Action Committees are shaping politics in our province and how they might impact the next election, this weekend’s New Democratic Party convention, and the latest candidate nomination news. 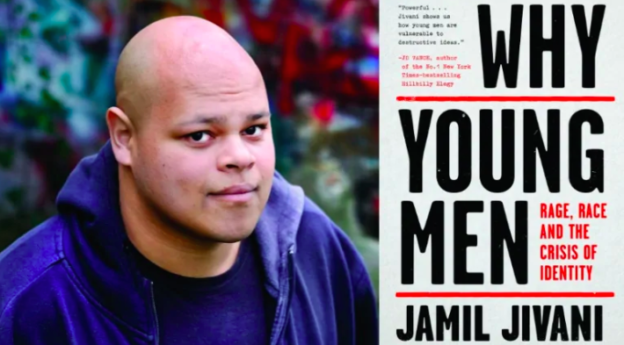 We had such a good conversation with Jamil that we didn’t get to our mailbag this week. Thank you to everyone who sent us questions, we will answer them in an extra long mailbag segment in our next episode. The Daveberta Podcast is a member of the Alberta Podcast Network powered by ATB Financial. The networks includes more than 30 Alberta-made podcasts, including We Are Alberta. And a big thanks to our producer, Adam Rozenhart, who keeps us on track and makes each episode of the Daveberta Podcast sound so great. This entry was posted in Daveberta Podcast and tagged Adam Rozenhart, Alberta Election Candidate Nominations, Alberta NDP, Alberta NDP Convention 2018, Alberta Podcast, Alberta Podcast Network, Alberta Politics Podcast, ATB Financial, Brian Mason, Brian Pincott, Calgary-Acadia, Dave Cournoyer, Daveberta Podcast, David Climenhaga, Edmonton-Highlands-Norwood, Edmonton-West Henday, Jamil Jivani, Janis Irwin, Jason Kenney, Keith Gerein, Motor Dealer Association of Alberta, Nicole Williams, Political Action Committees, Rachel Notley, RHD Asian Vehicles, Ryan Hastman, Shaping Alberta's Future, Tyler Shandro, United Conservative Party, We Are Alberta Podcast, Why Young Men: Rage Race and the Crisis of Identity on October 30, 2018 by Dave Cournoyer. Alberta’s New Democratic Party has focused a lot of energy attacking Jason Kenney and honing in on United Conservative Party nomination candidate bozo-eruptions in hopes of building a narrative that casts the UCP as having a big problem with its social conservative elements. 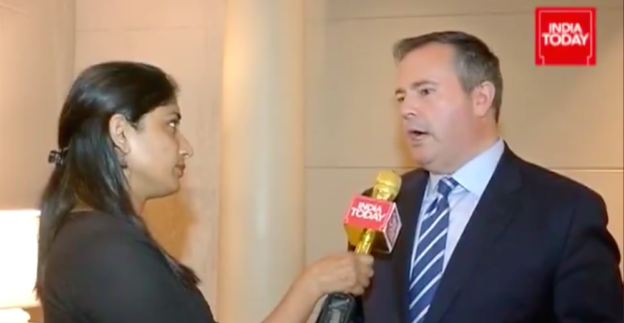 But while Kenney and the UCP were frequently mentioned at the NDP convention at the Westin Hotel in downtown Edmonton today, the governing party put a lot more focus on what might become the positive narrative of their campaign for re-election. With “Fighting for You,” “Fighting for Jobs,” “Fighting for Healthcare,” “Fighting for Public Education,” and “Fighting for Public Services” projected on the large bright screen at the front of the convention hall, NDP officials and cabinet ministers took to the microphones to test talking points and remind delegates about the changes the party has implemented on childcare, climate change, education, health care, and workplace safety since the 2015 election. The convention feels like it was designed avoid the kind of controversy that was generated at the recent UCP policy convention or the last time there was a big NDP gathering in Edmonton. And unlike previous conventions, there were no contentious debates about halting pipelines, disaffiliating from the federal NDP, or merging with other political parties. Delegates instead reaffirmed their support for Notley’s fight for oil pipelines and a range of progressive policies that included expanding broadband internet in rural Alberta, eliminating racism, expanding affordable childcare, and opposing education vouchers. Premier Rachel Notley and Finance Minister Joe Ceci took part in a panel discussion moderated by Edmonton-Manning MLA Heather Sweet. The discussion was very friendly, allowing Notley and Ceci to highlight their familiar narrative that investment in public infrastructure and public services was a better choice for Albertans than cutting frontline public services when the price of oil dropped in 2014. 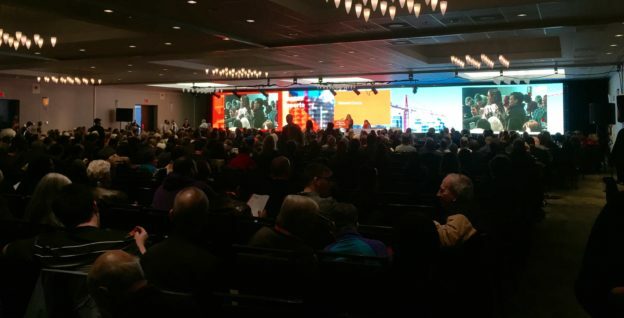 The second day of the NDP convention also featured guest speakers. Chief Billy Joe Laboucan spoke about the historic agreement signed with the Lubicon Lake Band this week. Former Calgary Board of Education chairperson Joy Bowen-Eyre spoke about the need to protect funding for public education. And University of Alberta professor Russell Cobb spoke about how austerity and tax cuts in once-oil rich Oklahoma has led that state down the road to massive public service cuts. Overall, the second day of the convention was a very well-stage managed event. But despite a lack of controversy on the convention floor today, the group of more than 1,200 delegates appeared upbeat, energized and ready to hit the doors to campaign in 2019. We can expect a larger focus on Premier Rachel Notley going into Alberta’s next provincial general election. 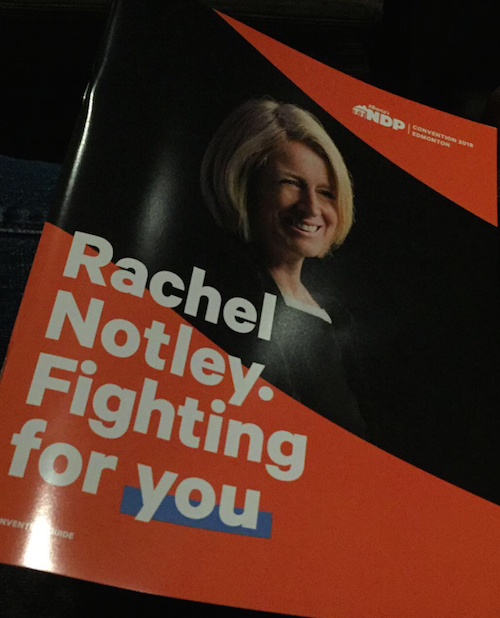 The NDP has already begun to quietly exchange its party logo in many of its public documents in favour of Rachel Notley’s name. It has been clear since 2015 that Notley is her party’s greatest asset, so it is not surprising that she will play the central role in her party’s 2019 re-election campaign. When next spring arrives, I would not be surprised to see “Rachel’s Team” billboards popping up across the province. 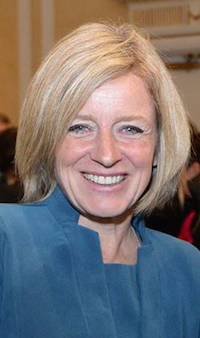 Notley is scheduled to deliver her keynote speech to delegates on the second day of the convention at 11:15 a.m. on Sunday, October 28, 2018. 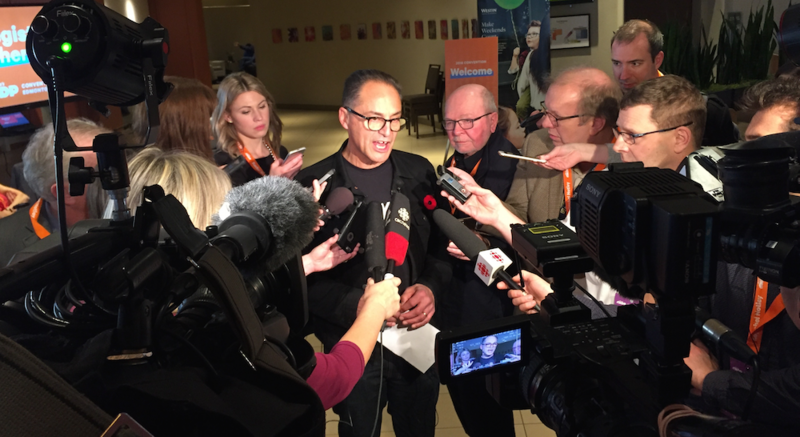 Joe Ceci scrums with reporters at the NDP convention. Finance Minister Joe Ceci accused the federal government of “moving the goal posts in the fourth quarter,” following news that the federal Liberal cabinet had decided to fund up to $1.75 billion towards the potential Calgary 2026 Winter Olympics, but only if the Alberta government and City of Calgary match the total. The Alberta government said it will not budge from its $700 million commitment to Calgary’s Olympic Games. The news from Ottawa gave Ceci an opportunity to criticize Prime Minister Justin Trudeau, something that is rarely a negative in Alberta politics. Expect NDP cabinet ministers to continue to distance themselves from their former federal allies in the coming months. NDP MLAs gather on stage during the tribute to former party leader Brian Mason. The lunch break featured a tribute to Brian Mason, the retiring cabinet minister and MLA from Edmonton-Highlands-Nowood who led the NDP through the muddy trenches of Alberta politics from 2004 to 2014. Mason was introduced by Notley and joined on stage by former party leaders Raj Pannu and Ray Martin, and dozens of his fellow NDP MLAs. Brian Mason (source: The Gateway, November 1974). “Work hard, give lots, take nothing for granted, and never, ever, ever give up,” Mason told convention delegates. Mason has been a fixture in Edmonton and Alberta politics for decades, first as a prominent activist and student leader at the University of Alberta in the 1970s, then as an transit driver turned Edmonton City Councillor in the 1980s and 1990s before jumping into provincial politics in 2000. Respected community advocate and educator Janis Irwin has been nominated as Mason’s NDP successor in Edmonton-Highlands-Norwood. Mason was party leader the last time I attended an NDP convention. It was September 2009, in a dim-lit windowless ballroom in a downtown Edmonton hotel, the most contentious topic of debate was a proposal from a small group of New Democrat founders of the Democratic Renewal Project. The DRP advocated the creation of an electoral arrangement or cooperation agreement between the NDP and the Liberal Party to prevent vote splitting by progressive voters. Both opposition parties had major loses in the previous year’s election, with the NDP dropping from four to two MLAs. The ideas put forward by the DRP sounded sensible to me at the time but were soundly rejected by conference delegates. Nine years later, the NDP are no longer debating vote splitting or electoral coalitions. They are holding their final convention before going to the polls to ask Albertans to grant them a second-term as government. This entry was posted in Alberta Politics and tagged Alberta Election 2019, Alberta NDP, Alberta NDP Convention 2018, Billy Joe Laboucan, Brian Baron, Brian Mason, Calgary Board of Education, Democratic Renewal Project, Edmonton-Highlands-Norwood, Edmonton-Manning, Fighting for You, Heather Sweet, Janis Irwin, Jason Kenney, Joe Ceci, Joy Bowen-Eyre, Justin Trudeau, Lubicon Lake Band, Oklahoma, Rachel Notley, Raj Pannu, Ray Martin, Russell Cobb, Shaping Albeta’s Future, University of Alberta, Vegreville Ford on October 27, 2018 by Dave Cournoyer. Who might and might not be invited to the Leaders’ Debate in Alberta’s 2019 election? Photo: Alberta political party leaders – Rachel Notley, Jason Kenney, Stephen Mandel, David Khan, and Derek Fildebrandt. We are now somewhere between seven and ten months away from the next provincial general election in Alberta. For the past seven provincial elections, leaders of the main political parties have participated in televised leaders debates, and while a lot of media and political attention is focused on these events, their impact on the outcome of the election varies. Most readers of this website will remember Progressive Conservative leader Jim Prentice‘s infamous “math is difficult” rebuttal to New Democratic Party leader Rachel Notley during the 2015 debate. The comment was viewed by many as sexist and the embodiment of a 44-year old political dynasty way past it’s best before date. Which party leaders are invited to participate in the debates, which are typically organized by private news media companies, can sometimes be contentious. Generally, only leaders whose parties have elected MLAs in the previous general election have been invited, but this has not always been the case. Unlike our neighbours to the south, there are no official rules or commission governing who is invited, which has led to inconsistencies since the televised leaders debates began in Alberta in 1993. Assuming one is held, let’s take a look at who might and might not be invited to participate in a televised leaders debate held in Alberta’s next provincial election, which is expected to be called between March 1 and May 31, 2019. Rachel Notley and Jason Kenney: Notley and United Conservative Party leader Jason Kenney are shoe-ins to participate in the leaders debate. Notley is the current Premier of Alberta and Kenney leads the Official Opposition UCP. 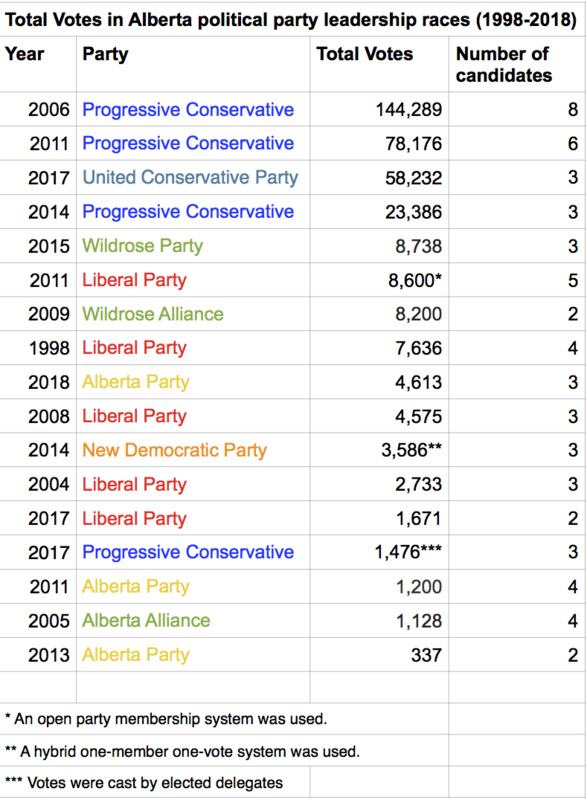 Although the UCP did not exist in the last election, the party has won three by-elections since it was formed in 2017. Stephen Mandel: Alberta Party leader Stephen Mandel will almost certainly be invited to join the debate even though he is not currently an MLA. Mandel served as a PC MLA for Edmonton-Whitemud from October 2014 to May 2015 and was defeated by NDP MLA Bob Turner in 2015. The Alberta Party elected one MLA in 2015 – Calgary-Elbow MLA Greg Clark – and now has three MLAs due to floor-crossings by former NDP MLA Karen McPherson and UCP MLA Rick Fraser. David Khan: Liberal Party leader David Khan is not a sitting MLA and his party’s sole MLA, former leader David Swann, is not seeking re-election. This is the first election since 1986 that the Liberals will not have an incumbent MLA running for re-election. Khan is running for election in Swann’s Calgary-Mountain View district. While the party has had one elected MLA since 2015, the party’s lack of incumbent MLAs and declining relevance in Alberta politics could lead to the Liberals not being invited to join next year’s debate. The Derek Fildebrandt Question: Derek Fildebrandt is a sitting MLA and most likely will be leader of the Freedom Conservative Party when the next election is called. 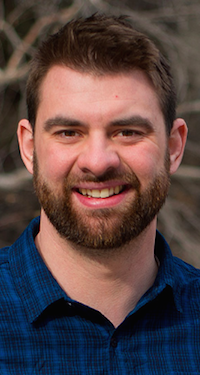 He was first elected as the Wildrose Party MLA for Strathmore-Brooks in 2015 and joined the FCP in 2018. His party did not elect any MLAs in 2015, but neither did the UCP, which was formed in 2017 by MLAs who were previously members of the PC and Wildrose parties. Fildebrandt has said his party will not run candidates in all districts, only focusing on districts where the NDP is not considered to be competitive. This means that most viewers tuning in to the televised debate will not have the option of voting for a Freedom Conservative Party candidate on Election Day, but a lack of a full-slate has not stopped leaders from being invited to the debates in the past. Fildebrandt is a fiery quote-machine and his participation in the debates would undoubtably create some entertainment value for viewers. While I suspect Notley and Mandel would be supportive of Fildebrandt’s involvement in the debate, I expect that Kenney would not be eager to share a stage with Fildebrandt. As I predicted on a recent episode of the Daveberta Podcast, I suspect Kenney could threaten to withhold his participation in the debate if Fildebrandt is invited to join. As for the format of a leaders debate, as I have written before, my preference would be to hold in front of a live audience, rather than a sterile and controlled television studio. This would allow the party leaders to demonstrate their debating skills and a live audience would add an atmosphere of unpredictability and would force the leaders to speak to both the voters in the room and those watching their television screens. 1967 election – Four party leaders participated in this debate: Social Credit leader Ernest Manning, PC Party leader Peter Lougheed, NDP leader Neil Reimer and Liberal leader Michael Maccagno. Lougheed had initially challenged Manning to a televised debate, but a public debate was held instead. The meeting was sponsored by the City Centre Church Council and held in downtown Edmonton. The leaders fielded questions from the audience of the packed church. At the time of the debate, only Manning and Maccagno were MLAs. Reimer was not an MLA but there was one incumbent NDP MLA, Garth Turcott, who had been elected in a 1965 by-election in Pincher Creek-Crowsnest. Lougheed was not an MLA and his party had not elected an MLA since the 1959 election. 1971-1989 elections – No leaders debates were held during the 1971, 1975, 1979, 1982, 1986 and 1989 elections. Lougheed was challenged by opposition leaders, including NDP leader Grant Notley and Western Canada Concept leader Gordon Kesler, to participate in a televised debate but were turned down. Don Getty also refused to debate his opponents on television. 1993 election – Three party leaders participated in two televised debates: PC Party leader Ralph Klein, NDP leader Ray Martin, and Liberal Party leader Laurence Decore. The first debate was held in-front of a live studio audience and was broadcast on CFCN in Calgary and CFRN in Edmonton. The second debate was held without a live studio audience and broadcast on Channel 2&7 in Calgary and ITV in Edmonton. An alternative debate that included leaders of smaller parties was also televised. That debate included the leaders of the Communist Party, Confederation of Regions, Alliance Party and Green Party. Social Credit Party leader Randy Thorsteinson refused to participate, arguing that the Social Credit party should have been included in the main leaders debate. 1997 election – Four party leaders participated in this televised debate organized by the Alberta Chamber of Commerce and broadcast by CBC: PC Party leader Ralph Klein, Liberal Party leader Grant Mitchell, NDP leader Pam Barrett, and Social Credit Party leader Randy Thorsteinson. Barrett and Thorsteinson were invited to participate despite not being MLAs at the time and neither of their parties having elected any MLAs in the previous election. The NDP and Social Credit Party did not nominate a full slate, with only 77 and 70 candidates running in 83 districts. 2001 election – Three leaders participated in this televised debate organized by Calgary Herald and Global News: PC Party leader Ralph Klein, Liberal leader Nancy MacBeth and NDP leader Raj Pannu. The three major parties nominated candidates in all 83 districts. 2004 election – Three leaders participated in this televised debate broadcast by Global Television: PC Party leader Ralph Klein, Liberal leader Kevin Taft and NDP leader Brian Mason. Despite having been invited to join the televised debate in 1997, Alberta Alliance leader Randy Thorsteinson was not allowed to join in 2004 because he was not an MLA and his new party did not elect any members in the previous election. The party had one MLA, former Edmonton-Norwood PC MLA Gary Masyk, who crossed the floor in the months before the election was called. The PCs, NDP and the Alberta Alliance nominated candidates in all 83 districts in this election. The Liberals nominated candidates in 82 of 83 districts. 2008 election – Four leaders participated in this debate broadcast on Global, CTV and CBC: PC Party leader Ed Stelmach, Liberal Party leader Kevin Taft, NDP leader Brian Mason and Wildrose Alliance leader Paul Hinman. Hinman was the Alberta Alliance Party’s sole elected MLA in the 2004 election before the party changed its name to the Wildrose Alliance (he would be defeated in his bid for re-election in Cardston-Taber-Warner in 2008). The Wildrose Alliance nominated 61 candidates in 83 districts. Green Party leader George Read was not invited to participate in the debate, despite his party nominating candidates in 79 of 83 districts (the Greens would earn 4.5 percent of the total province-wide vote, only slightly behind the 6.7 percent earned by the Wildrose Alliance in this election). 2012 election – Four leaders participated in this debate broadcast by Global and streamed on the internet: PC Party leader Alison Redford, Wildrose Party leader Danielle Smith, Liberal Party leader Raj Sherman and NDP leader Brian Mason. Smith was invited to join the debate despite her party not having elected any MLAs in the previous election. The Wildrose Party was represented in the Assembly by four MLAs when the election was called. Former leader Paul Hinman returned to the Assembly in a 2009 by-election in Calgary-Glenmore and Heather Forsyth, Rob Anderson, and Guy Boutilier were elected as PC candidates in 2008 before crossing the floor to join the Wildrose Party in 2010. Alberta Party leader Glenn Taylor was not invited to join the leaders debate, despite his party having one MLA in the Legislature. 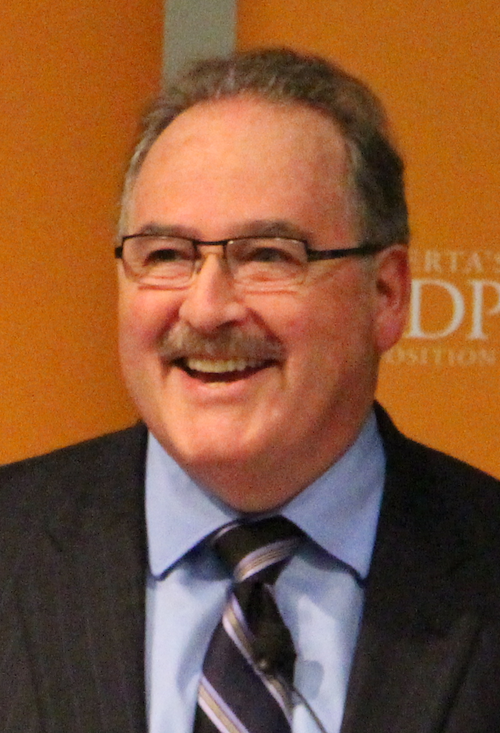 Former Liberal MLA Dave Taylor became the Alberta Party’s first MLA in 2011. The Alberta Party nominated 38 candidates in 87 districts. 2015 election – Four leaders participated in this debate broadcast by Global: PC leader Jim Prentice, NDP leader Rachel Notley, Wildrose Party leader Brian Jean, and Liberal leader David Swann. Despite only narrowly losing a 2014 by-election in Calgary-Elbow, Alberta Party leader Greg Clark was not invited to join the debate. Clark would go on to be elected in Calgary-Elbow in this election. The NDP and PCs nominated candidates in all 87 districts, while the Wildrose Party nominated 86 candidate and the Liberals nominated 56. The Alberta Party nominated 36 candidates in 87 districts. This entry was posted in Alberta Politics and tagged Alberta Election 2019, Alberta Liberal Party, Alberta NDP, Alberta Social Credit Party, Alison Redford, Bob Turner, Brian Jean, Brian Mason, Calgary-Elbow, Calgary-Glenmore, Calgary-Mountain View, Cardston-Taber-Warner, Chestermere-Strathmore, Danielle Smith, Dave Khan, Dave Taylor, David Swann, Derek Fildebrandt, Don Getty, Ed Stelmach, Edmonton-Norwood, Edmonton-Whitemud, Ernest Manning, Freedom Conservative Party of Alberta, Garth Turcott, Gary Masyk, George Read, Glenn Taylor, Gordon Kesler, Grant Mitchell, Grant Notley, Green Party of Alberta, Greg Clark, Guy Boutillier, Heather Forsyth, Jason Kenney, Jim Prentice, Karen McPherson, Kevin Taft, Laurence Decore, Leaders Debate, Mike Maccagno, Nancy MacBeth, Neil Reimer, Pam Barrett, Paul Hinman, Peter Lougheed, Pincher Creek-Crowsnest, Rachel Notley, Raj Pannu, Raj Sherman, Ralph Klein, Randy Thorsteinson, Ray Martin, Rick Fraser, Rob Anderson, Stephen Mandel, United Conservative Party, Western Canada Concept, Wildrose Party on September 5, 2018 by Dave Cournoyer. This week on the Daveberta Podcast, guest hosts Erika Barootes, Janis Irwin and Natasha Soles chat with our producer Adam Rozenhart about their experiences in provincial politics and where they see Alberta politics moving in the near future. They also answer some questions you submitted to us. Erika Barootes is the the president of the United Conservative Party of Alberta, an athlete, and in her day job, a senior advisor of corporate communications at EPCOR. Janis Irwin the Director of Stakeholder Relations in the Office of the Premier, and she’s also declared that she’ll be running for the Alberta NDP nomination in Edmonton’s Highlands-Norwood electoral district, which has been held by Brian Mason since the year 2000. Natasha Soles is the former Director of Communications and Legislative affairs for the Alberta Party Caucus. She’s also a Senior Executive Associate at an outstanding Edmonton not-for-profit called Homeward Trust. Listen and subscribe on Apple Podcasts, Google Play, and wherever you find podcasts online. We’d love to hear what you think of this episode, so feel free to leave a comment on this blog, Facebook or Twitter or send us an email at podcast@daveberta.ca. And once again, we are deeply thankful to our producer, Adam Rozenhart, for his help in making this podcast a reality. This entry was posted in Daveberta Podcast and tagged Adam Rozenhart, Alberta Election 2019, Alberta NDP, Alberta Party, Alberta Podcast, Alberta Podcast Network, Alberta Politics Podcast, ATB Financial, Brian Mason, Dave Cournoyer, Daveberta Podcast, Edmonton-Highlands-Norwood, Erika Barootes, Janis Irwin, Natasha Soles, Partisanship, Ryan Hastman, Saudi Arabia, TransCanada Energy East Pipeline, United Conservative Party on August 13, 2018 by Dave Cournoyer. NDP MLA Brian Mason retires after 30 years in politics. A spirited nomination contest expected in Edmonton-Highlands-Norwood. After 30 years in elected office, Brian Mason will call it quits when the next provincial election is called. The New Democratic Party MLA for Edmonton-Highlands-Norwood announced at a press conference this morning that he will not seek re-election in 2019. 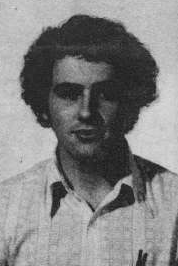 He started his political career as a student activist, including a term as Vice-President External of the University of Alberta Students’ Union and as director of the Alberta Federation of Students. Mason jumped into municipal politics in 1983, running for city council as past of the left-leaning Edmonton Voters Association slate. His first run was unsuccessful but he ran again six years later. 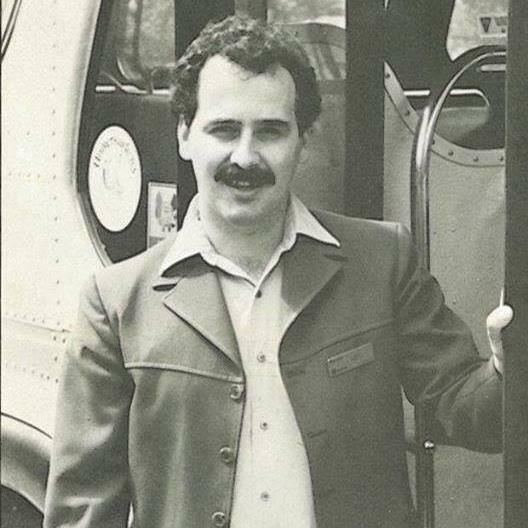 Then employed by the City of Edmonton as a bus driver, Mason challenged a law prohibiting city employees from running for council and was elected to city council in 1989. He was re-elected in north east Edmonton in 1992, 1995, and 1998. 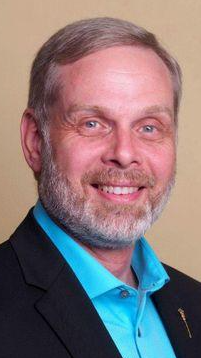 He jumped into provincial politics in 2000, running in a by-election in Edmonton-Highlands to succeed former NDP leader Pam Barrett, who had represented the district from 1986 to 1993 and 1997 until her retirement from politics in 2000. Mason cruised to victory in the by-election against former Leduc Liberal MLA Terry Kirkland and was re-elected by significant margins in the five elections since. He became leader of the Alberta NDP ahead of the 2004 election, succeeding Edmonton-Strathcona MLA Raj Pannu. As leader of the sometimes 2 or 4 MLA caucus, Mason led a feisty opposition that frequently ran circles around the actual Official Opposition Liberals (to the frustration of Liberal Party staffers like me). He stepped down as leader in 2014, perhaps sensing a change in the times. And the timing of the NDP leadership race that chose Rachel Notley was perfect. While no one could have predicted on that day that Notley would lead the NDP to form government in 2015, Mason handed over a party that was in much better shape than it was on the day he started the job in 2004. He was re-elected in 2015 in Edmonton-Highlands-Norwood with the widest margin of his political career, earning a landslide 78 percent of the vote. 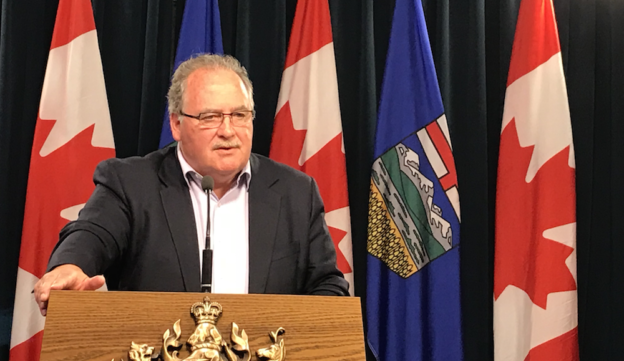 Despite rumours that Notley might pick him for Minister of Finance or back a bid for him to become Speaker of the Legislative Assembly, she appointed Mason as Minister of Transportation, Minister of Infrastructure and Government House Leader when the NDP were sworn-in to office in 2015. The Dean of Alberta’s Legislative Assembly, Mason will end his political career as the longest-serving current MLA in our province. 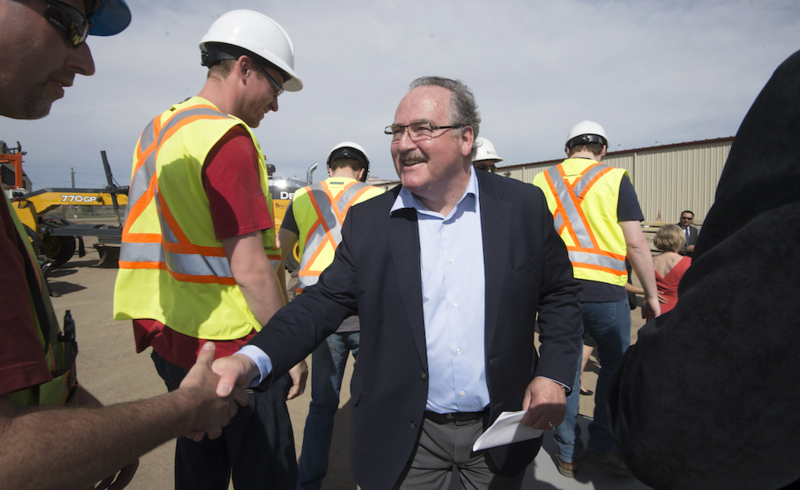 With Mason stepping aside, we could now see a spirited nomination contest in Edmonton-Highlands-Norwood, a largely blue-collar district that is considered strong territory for the NDP. Two names frequently mentioned as potential successors to Mason include 2015 federal NDP candidate Janis Irwin and former Public Interest Alberta executive director Bill Moore-Kilgannon. (I live in Edmonton-Highlands-Norwood, so I have a particularly keen interest in this nomination contest). 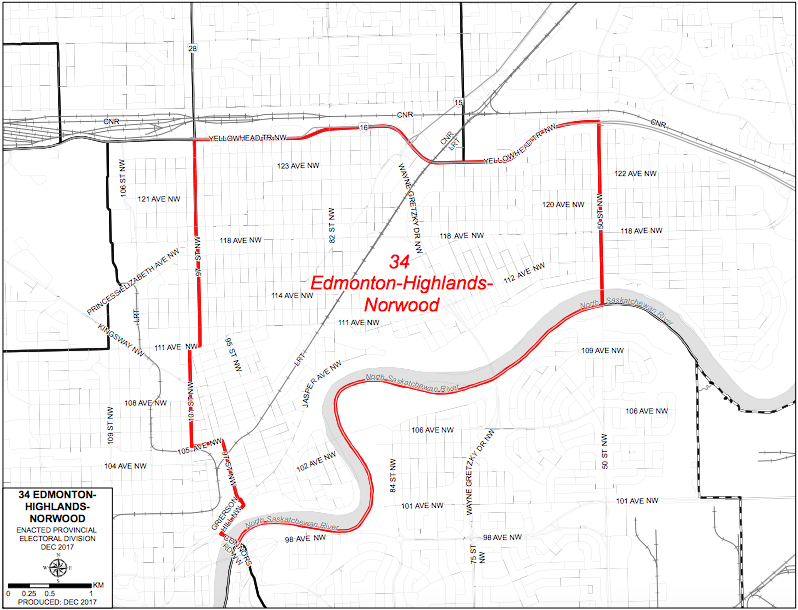 The Edmonton-Highlands-Norwood district was created in 2004 and included areas from the former Edmonton-Highlands and Edmonton-Norwood districts. 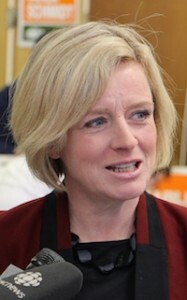 Edmonton-Highlands had been represented by the NDP from 1986 until 1993, when Liberal Alice Hanson was elected, and again by the NDP from 1997 until 2004. Edmonton-Norwood was represented by NDP leader Ray Martin from 1982 until 1993, when he was unseated by Liberal Andrew Beniuk. Beniuk later crossed the floor to the Progressive Conservatives and was defeated in 1997 by Liberal Sue Olsen. Olsen did not seek re-election in 2001 and the seat was won by PC candidate Gary Masyk, who would later cross the floor to the Alberta Alliance. 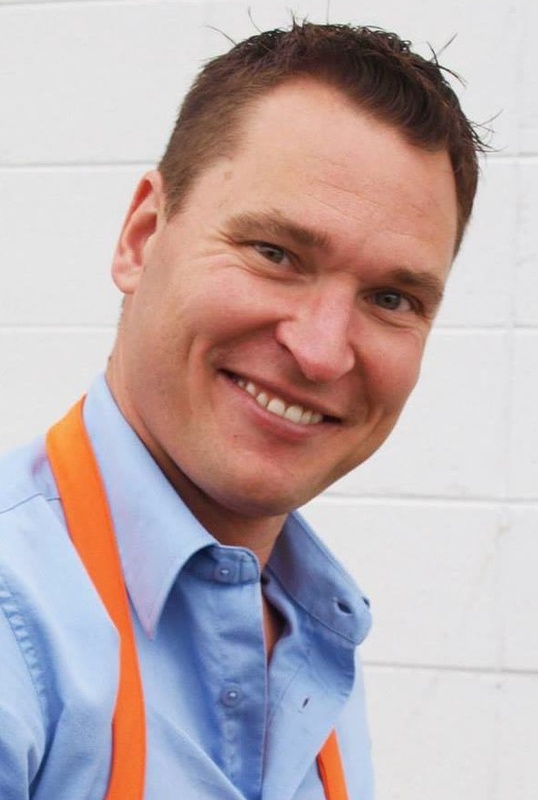 Masyk chose not to challenge Mason in the new district in 2004 and was defeated in his bid for re-election in the neighbouring Edmonton-Decore district. This entry was posted in Alberta Politics and tagged Alberta Alliance, Alberta Election 2019, Alberta Election Candidate Nominations, Alberta Liberal Party, Alberta NDP, Alice Hanson, Andrew Beniuk, Bill Moore-Kilgannon, Brian Mason, Edmonton Voters Association, Edmonton-Highlands, Edmonton-Highlands-Norwood, Gary Masyk, Janis Irwin, Pam Barrett, Public Interest Alberta, Sue Olsen, Terry Kirkland, University of Alberta Students' Union on July 4, 2018 by Dave Cournoyer. It was widely expected to happen in 2017, and today NDP MLA Sandra Jansen was sworn-in to the provincial cabinet as Minister of Infrastructure. She takes over the portfolio from veteran MLA Brian Mason, who had served as both Minister of Infrastructure and Minister of Transportation since the NDP formed government in 2015. 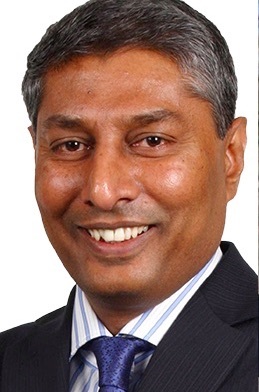 First elected as a Progressive Conservative in 2008, Jansen was one of ten PCs to survive the NDP orange wave of 2015. After being driven out of the PC leadership race by social conservative supporters of Jason Kenney, she crossed the floor to the NDP. Bringing Jansen into cabinet bolsters the number of NDP cabinet ministers in Calgary, which is expected to be a critical electoral battleground in the next election. Infrastructure issues, like the construction of a new cancer centre, were key issues for voters in the last election. The NDP swept Calgary in the last election, but they will face a very steep uphill battle to re-elected many of those MLAs in the next election. Jansen’s appointment to the provincial cabinet means the majority of Alberta’s cabinet ministers – eleven out of twenty-one – are women. Other recent changes to the provincial leadership include the appointment of Fort Saskatchewan-Vegreville MLA Jessica Littlewood as Parliamentary Secretary to the Minister of Economic Development and Trade for Small Business and Sherwood Park MLA Annie McKitrick as Parliamentary Secretary to the Minister of Education. Under the old PC government, appointments of Parliamentary Secretaries, or Parliamentary Assistants, were used in some cases to provide training for backbench MLA’s identified as being future cabinet minister material. In other cases, when the PCs were burdened with large caucuses, some MLAs were given with Parliamentary Secretary appointments as a way of generating busy-work for backbenchers who might otherwise cause trouble for the government leadership. Littlewood and McKitrick are the first two Parliamentary Secretaries appointed since the NDP formed government in 2015, so it is unclear what their actual role in the government will be. Calgary-Currie MLA Brian Malkinson was recently appointed to the provincial Treasury Board. Strathcona-Sherwood Park MLA Estefania Cortes-Vargas was recently sworn in as a member of the Legislative Review Committee. This entry was posted in Alberta Politics and tagged Annie McKitrick, Brian Malkinson, Brian Mason, Estefania Cortes-Vargas, Jason Kenney, Jessica Littlewood, Rachel Notley, Sandra Jansen on October 18, 2017 by Dave Cournoyer.